The Xugana Lagoon is widely recognised as one of the most spectacular permanent water sites within Botswana’s Okavango Delta. Owing to its remote location in a private concession, Xugana Island Lodge offers a true Okavango Delta safari, focusing on a variety of activities including mokoro excursions, motorboat safaris and guided bush walks. Desert & Delta Safaris is thrilled to announce that we have recently introduced game drives and night drives to the Xugana Island Lodge activity offering with the addition of game drive vehicles now permanently based in the concession! The additional activities allows Xugana Island Lodge to offer a fully immersive Okavango Delta experience focusing on both land and water based activities. The activities at Xugana Island Lodge are completely tailored to each traveller’s needs, allowing them to choose what activities they would like to experience. 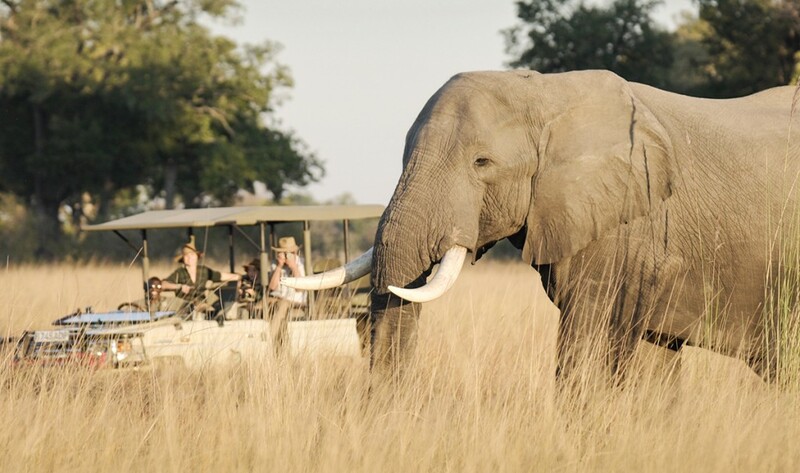 Since the introduction of the vehicles, our travellers have enjoyed incredible sightings including wild dog, large herds of sable, elephant, leopard, lion and a variety of general game commonly seen within the Okavango Delta. The additional activities together with the flexibility of the camp setup allows guests to enjoy the thrill of combining game-drives, guided walking safaris and mokoro activities all on a single outing.